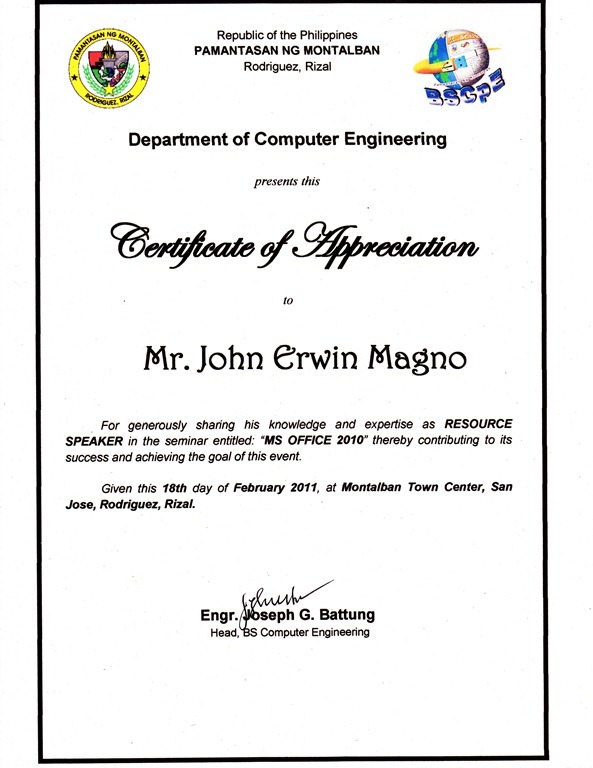 Kiel de Guzman invited me to be their resource speaker last month to talk about Microsoft Office 2010 for Computer Engineering (CoE) students. This was my first time to talk alone for a seminar. In the invitation the seminar should start at 9:00AM. The venue is still closed and “Manang” the caretaker arrived 9:45AM. Another great day spreading the word of Microsoft Technologies. 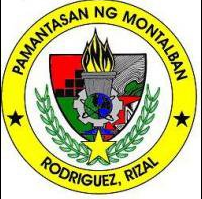 Thank you Kiel and students of Pamantasan ng Montalban. God Bless you all. Till next time. This entry was posted on Sunday, February 20th, 2011 at 6:01 pm	and posted in Talks. You can follow any responses to this entry through the RSS 2.0 feed.